60220 PER5428.jpg 500X638\PER5428.jpg 60221 PER5428_1.jpg 500X638\PER5428_1.jpg Send A Hint! 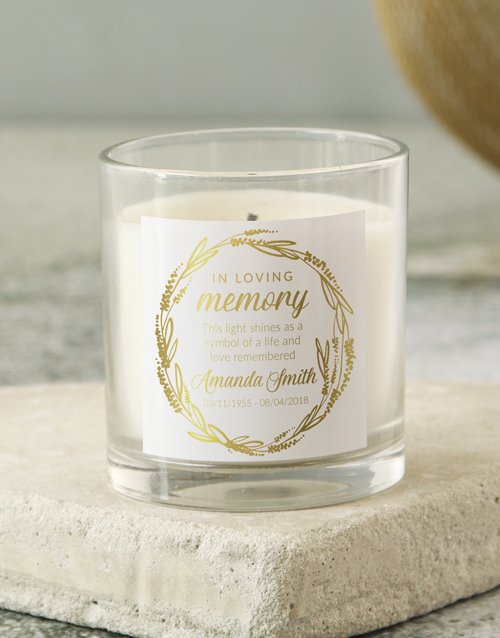 Celebrate a life with a gold-detailed memorial candle. The candle is vanilla-scented and the label can be personalised with a name and dates to tailor it to the loved one it commemorates. Order heartfelt sympathy gifts online for next day delivery countrywide. 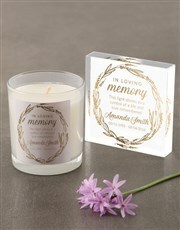 Get this Personalised In Loving Memory Foiled Candle delivered with NetFlorist.